Comments: Deciduous in the North and may be evergreen in the deep South. 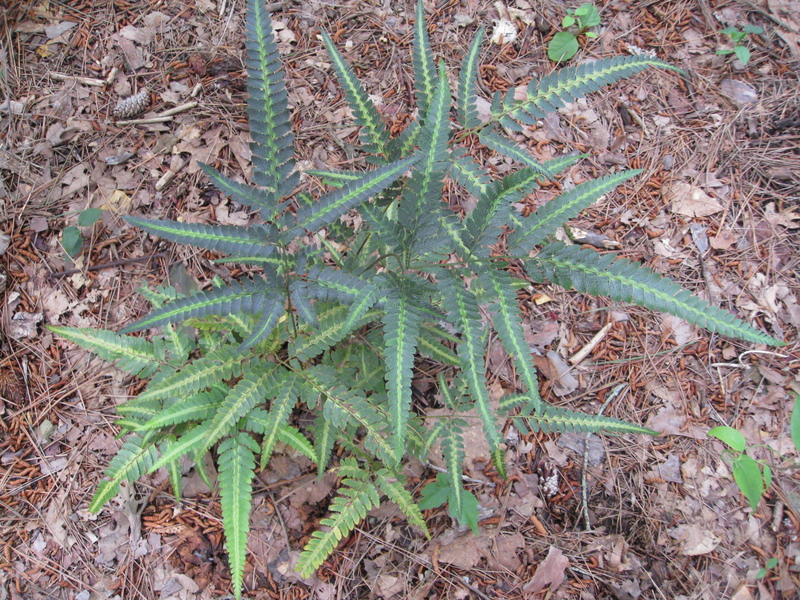 Is a small fern ideally suited for containers in a shady garden. The variegated foliage make it of interest and it can be used in beds and as a ground cover. The only commercial fern in North Americal with a golden yellow rachis.